We have family friendly homes to accommodate you and your guests. There are 3 comfortable cabins on the ridge, within hiking distance; the cabins range in size and amenities; please review the detailed listing below. Be sure to check out the updates and recent photos on Facebook. Interior photos are of our most popular rental, Cabin 1. It is the largest of the three homes with 3 bedrooms and a sleeping loft. WELCOME to NC Mountain Rentals~ Come stay with us! 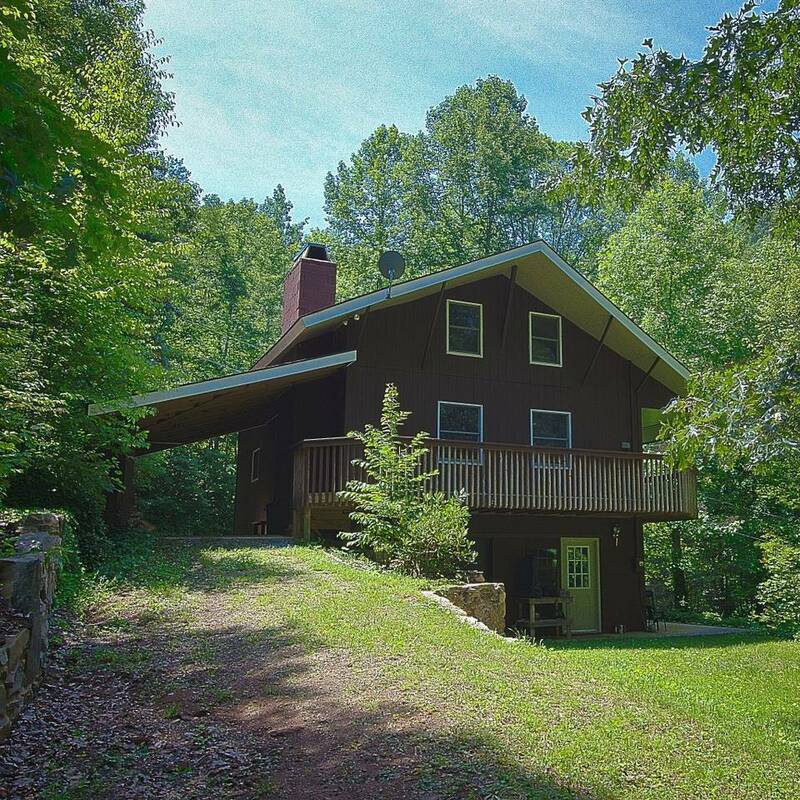 The cabins are located in the mountains of Western North Carolina, between Franklin & Dillsboro, about 4 miles off US 441. Cabins are available for: Weekly and 4 week rentals [Saturday to Saturday]. Please contact us directly for alternative scheduling. Cabin 1 (3BR, 2.5 Bath) home accommodates more than one family. - Beds: Queen size on main floor, 2 doubles and 2 singles 2nd floor, cots in basement. - Central heat/air, full kitchen, and outdoor BBQ grill with picnic table. - Elevation is about 3000ft for cool summer evenings. Cabin 2 (2BR, 2 Bath) home accommodates one family. - Beds: 2 double beds, one on main floor and one in basement bedroom; bathrooms are adjacent to each bedroom. - Lot adjoins Nantahala National Forest. Short path to creek or old mountain trails for hikers. - Open floor plan with bath, a single Murphy bed, accommodates 1 or 2 people. - Secluded Guest House, small space with all the conveniences. Forest service trails nearby. Rates: Weekly [Saturday to Saturday]. Resort and NC Sales tax: 11% added to each stay amount [7% sales tax and 4% Jackson Co. Resort tax]. Deposit to reserve your dates: 50% or $200, whichever is less. These low fees anticipate that each renter will furnish and use their own sheets/towels. Washer/Dryer are in Cabins 1 and 2. Renters are responsible for daily housekeeping and a final cleaning before leaving. For renters convenience, the final clean up may also be provided by a maid service for a one time additional fee of $90. Contact us for availability. Message us early for the best choice of dates.